The approach of Spring brings with it a new milestone for Charles MacPherson, marking 10 years since the Charles MacPherson Academy opened its doors to incoming students. The Butler makes a visit to London (Ontario that is)! 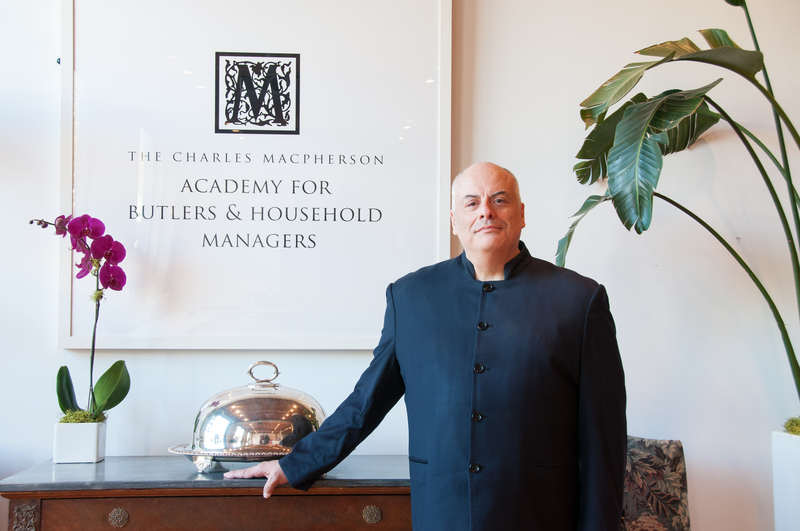 Not to be confused with its namesake across the pond, Charles MacPherson will be making a special visit to London, Ontario this Spring to deliver two very special programs in partnership with Eldon House . Holiday Hosts, Take Back Your kitchen! There it is — your kitchen. Spotless, spacious and so blissfully unaware of the role it will soon play in your first-ever holiday feast. 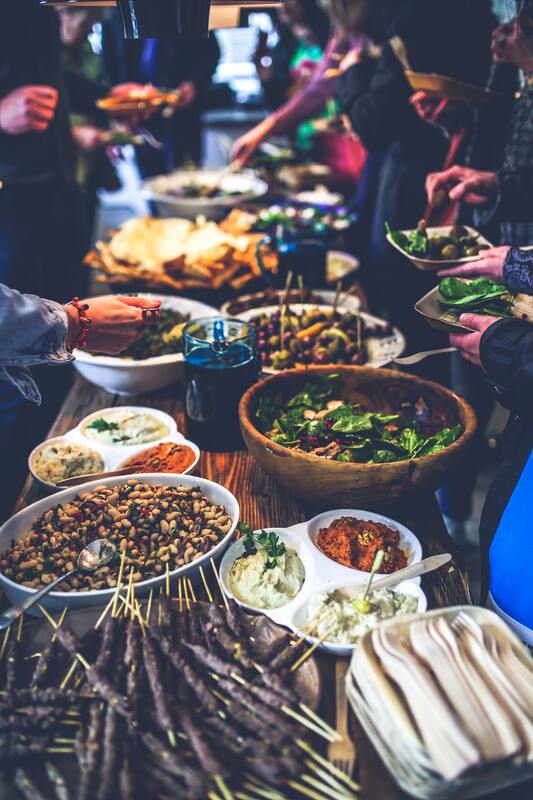 With invitations sent out and a massive bird on order, how can you begin to prepare for the pandemonium this space will see when famished friends come to the door? The festive season is quickly approaching. Invitations to holiday parties and events are likely starting to show up in your inbox or perhaps even in the mail. 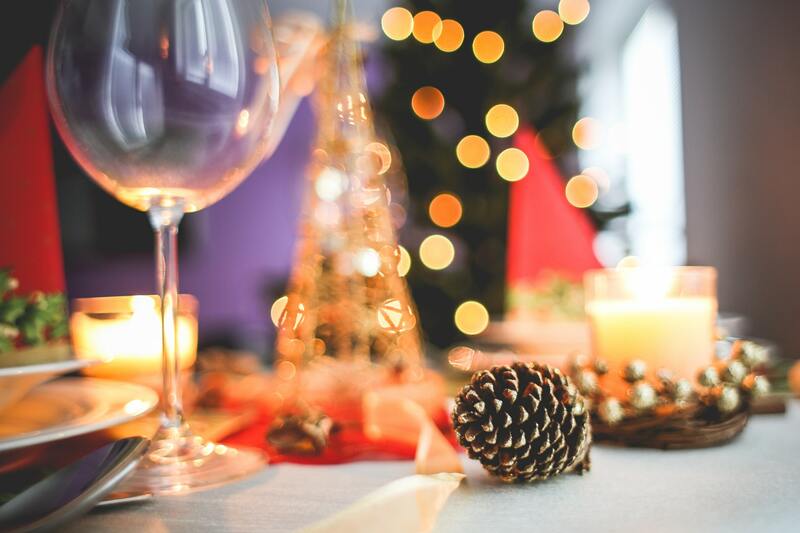 Academy Director, Andrew Gayman, spoke with The Morning Show hosts Liem Vu and Marianne Dimain to highlight some key things to remember if you're headed to a holiday fête this season. 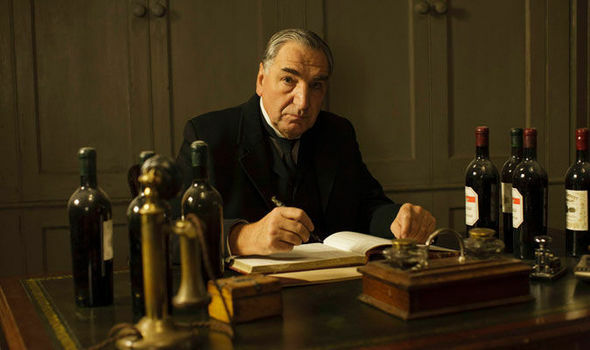 Always the consummate professional, the head butler of Edwardian country house Downton Abbey never wavers in his pursuit of private service perfection. Appalled by the slightest deviation in decorum, Mr. Carson runs a tight ship and can be counted on to give sound advice upon request. But while his rigid rule is something to be admired, we worry that this by-the-book butler isn't allowing himself the opportunity to relax on occasion. Remembering that it’s important to balance work and play, we recommend a rowdy night at the nearby Red Lion public house where pal John Bates once tended bar. For the first time ever under the roof of Toronto’s historic Campbell House Museum, students of the Charles MacPherson Academy gathered last week to hone the art of fine service delivery in a dining setting. 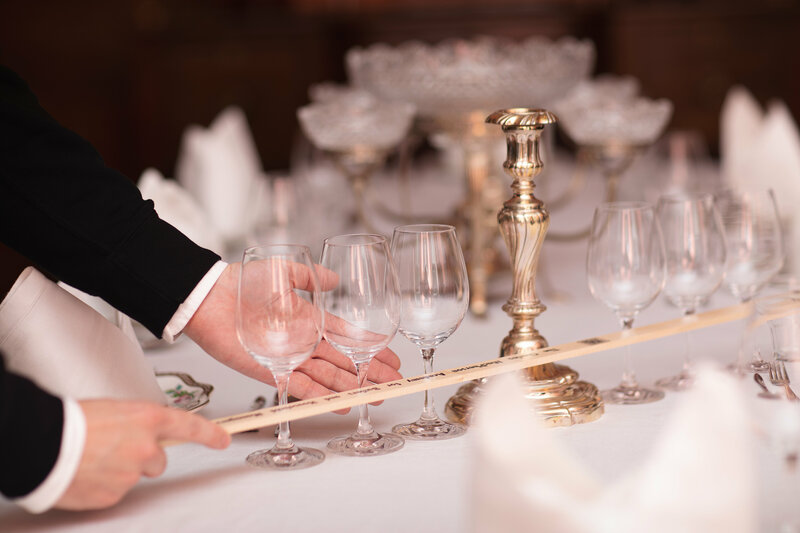 Under the watchful helm of English butler and recognized etiquette expert Mr. John Robertson, students were led through a series of hands-on exercises including napkin folding, the appropriate receiving of guests at the door and the setting of a table for an elegant meal. “I’ve read about many of the concepts we covered today but being able to implement them first-hand was so helpful,” said student India Poole, a former nanny from Chicago who hopes to transition to a career in household management. 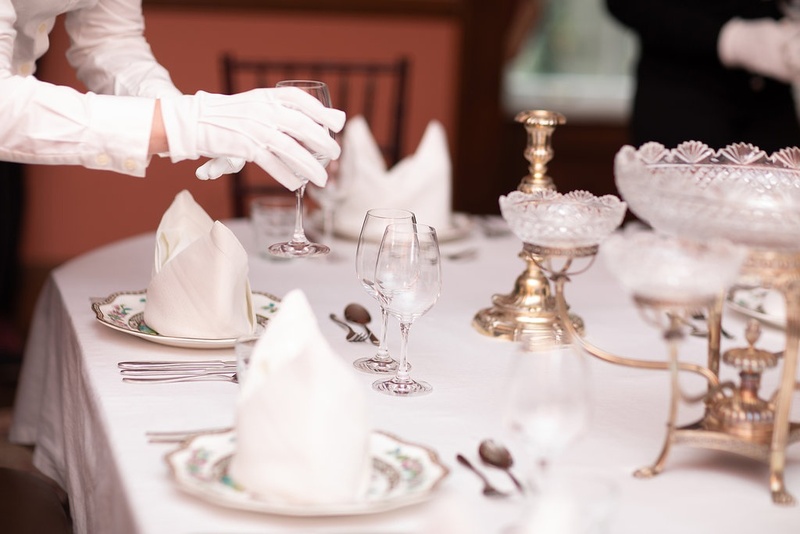 In the afternoon students made their way to the manor’s 19th century dining room, where they handled china and crystal with silk gloves and learned to transition the rules and protocol of societies past to the contemporary. Carefully reviewing each facet of the highest quality of service, Mr. John Robertson imparted many of his own personal experiences to students from his history both as butler to senior members of the British aristocracy and house manager to affluent, modern families. 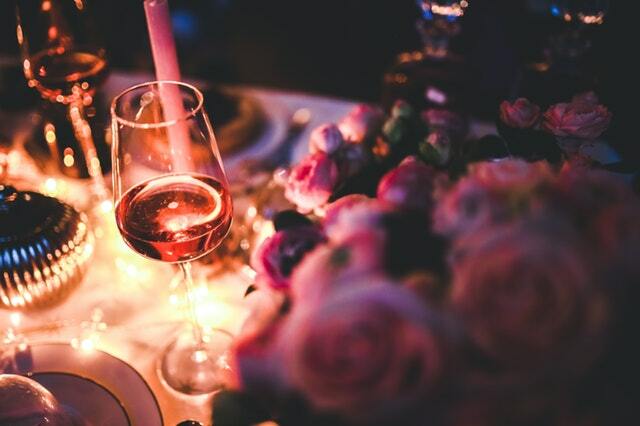 “Plan, organize, implement, control,” Mr. Robertson said to busy students as they gently set down salad plates to the right of their colleagues, poured wine in their glasses and announced to all that dinner was served in proper manner. Etiquette at a BBQ, is there even such a thing? With the hot weather in full swing across most of the country, people are moving outside to enjoy the great outdoors, firing up BBQs and inviting friends and family over to celebrate. As a consulting and training firm, we live and breathe customer service - we can't stop talking about it. We are consistently talking about our good and bad experiences, championing the good ones and thinking about how we could have fixed the bad ones. Often times service providers are too narrow when looking at customer service; "How quickly can I solve this? ", "What does this person want?" and even "How can I get this person off my back?". Customer service providers forget to stop and ask the all important question, "How does this person feel right now?". Good customer service is more than just fixing someone's latte order, it's about taking into account their emotions and how they feel. Customer service can be complex but when you take a moment to break down the situation from a physical and emotional component, it makes it much easier. So why truly care about the emotional part? 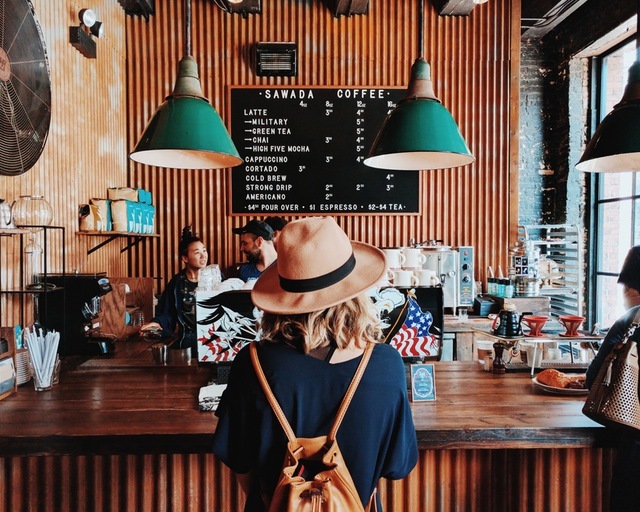 Based on a study conducted for American Express, it found that recipients of excellent customer service have the same cerebral reaction as if they were feeling loved. So now your customer, guest or principal feels happy and loved, and you've delivered excellent customer service. The positive correlation between delivering good customer service and a sense of general well-being is immense. Providing good customer service actually feels good. So as service providers, apart from our implicit goal of delivering exceptional customer service we should be striving to create more 'feel good' moments just for ourselves. 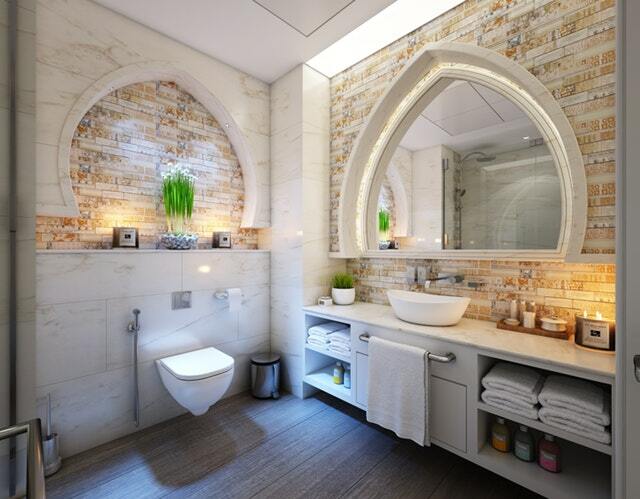 Before you're thrown back into memories of a still life-drawing class, we're not suggesting you take pencil to paper and sketch a bathroom fixture. 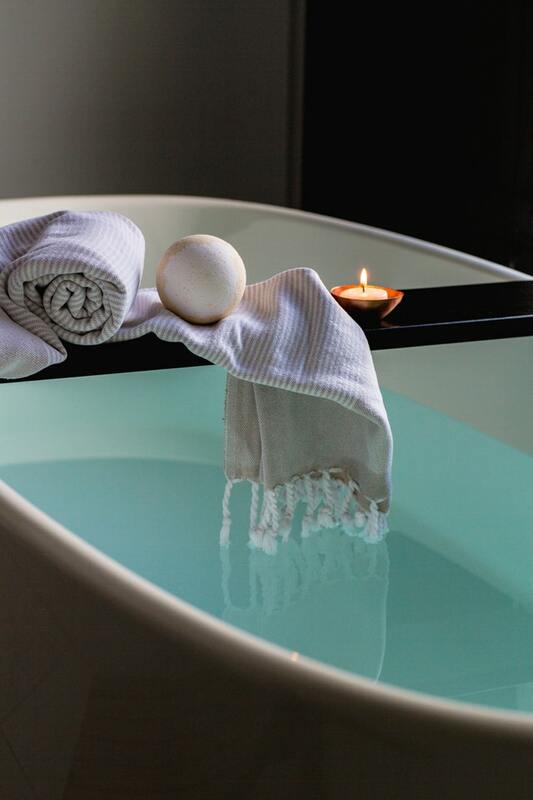 What we are suggesting is that you up your bath game, bubbles optional.